Music publishing is the industry responsible for connecting songwriters with appropriate recording artists, promoting songs, handling copyright registration, and supervising the very profitable process of royalty collection and payment. Long overshadowed by the more glamorous recording industry, music publishers are at the pivotal center of the music industry and the incubators of every hit record. 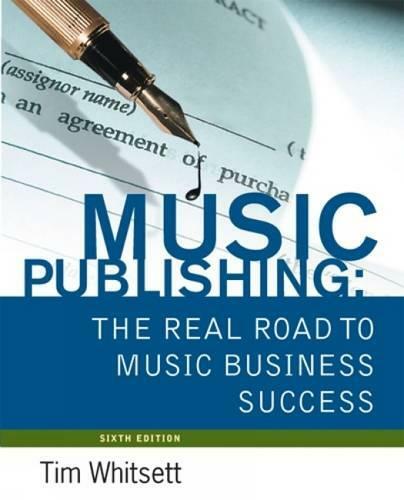 Music Publishing: The Real Road to Music Business Success, now in it's sixth edition, provides a completely updated introduction to the lucrative music publishing business and includes advice on how to break in. Detailed chapters cover acquisitions, copyright, contract fundamentals, licensing, marketing, and the basics of running your own music publishing business. The new edition takes into account the rapidly changing nature of the business with updated copyright laws and international treaties, revised sample contracts, new material on marketing, sales, and distribution channels, and updated royalty scales and business models.